Laurea in Economia Politica, Università Commerciale "L. Bocconi", 1995. Ph. D. in Economics, Princeton University, 2000. Professore Straordinario di Economia Politica, Dipartimento di Economia e Finanza, Luiss Guido Carli. 2007: Docente, Master of Economics and Finance, Università Federico II di Napoli. 2000- 2007: Assistant Professor of Economics, New York University. 2005-2006: Adjunct Assistant Professor, Columbia University. 2004-2005: Visiting Assistant Professor, Columbia University. 2003-2004: Consulente, European Central Bank, Monetary Strategy Division, 2003-2004. 2003-2004: Visiting Scholar, Federal Reserve Bank of New York. 2002: Research Visitor, European Central Bank. 1999: Docente, Master of Economics and Finance, Università ¡ Federico II di Napoli. 1999-2000: Alfred P. Sloan Doctoral Dissertation Fellowship. 1997-1999: L. Jona Fellowship, Istituto Bancario San Paolo. Benigno, Pierpaolo; Nistico', Salvatore (2017). Safe assets, liquidity, and monetary policy. AMERICAN ECONOMIC JOURNAL. MACROECONOMICS, p. 182-227. ISSN 1945-7707. http://dx.doi.org/10.1257/mac.20150073. Benigno, Pierpaolo; Faia, Ester (2016). Globalization, Pass-Through, and Inflation Dynamics. INTERNATIONAL JOURNAL OF CENTRAL BANKING, p. 263-306. ISSN 1815-4654. Benigno, Pierpaolo (2015). New-Keynesian economics: An AS-AD view. RESEARCH IN ECONOMICS, p. 503-524. ISSN 1090-9443. http://dx.doi.org/10.1016/j.rie.2015.07.005. Pierpaolo Benigno; Luca Ricci; Paolo Surico (2015). Unemployment and Productivity in The Long Run: The Role of Macroeconomic Volatility. THE REVIEW OF ECONOMICS AND STATISTICS, p. 698-709. ISSN 0034-6535. http://dx.doi.org/doi:10.1162/REST_a_00508. Benigno, Pierpaolo; Romei, Federica (2014). Debt Deleveraging and The Exchange Rate. JOURNAL OF INTERNATIONAL ECONOMICS, p. 1-16. ISSN 0022-1996. http://dx.doi.org/10.1016/j.jinteco.2014.03.001. 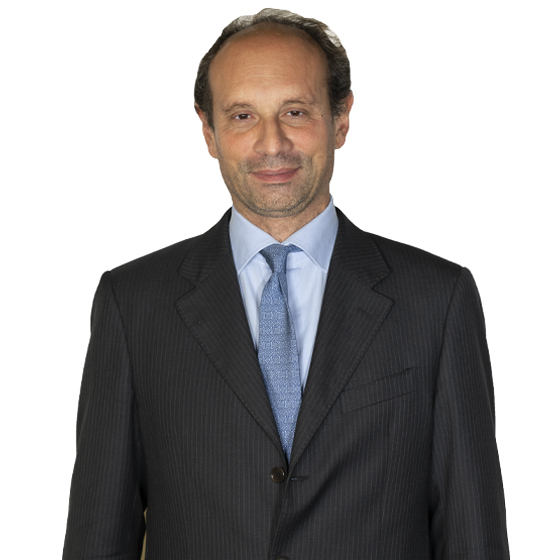 Pierpaolo Benigno; Luigi Paciello (2014). Monetary Policy, Doubts and Asset Prices. JOURNAL OF MONETARY ECONOMICS, p. 85-98. ISSN 0304-3932. http://dx.doi.org/10.1016/j.jmoneco.2014.02.004. P.Benigno; G.Benigno; S. Nisticò (2013). Second-Order Approximation of Dynamic Models with Time-Varying Risk. JOURNAL OF ECONOMIC DYNAMICS & CONTROL, p. 1231-1247. ISSN 0165-1889. http://dx.doi.org/10.1016/j.jedc.2013.03.007. P. Benigno; S. Nisticò (2012). International Portfolio Allocation under Model Uncertainty. AMERICAN ECONOMIC JOURNAL. MACROECONOMICS, p. 144-189. ISSN 1945-7707. http://dx.doi.org/10.1257/mac.4.1.144. P.Benigno; M. Woodford (2012). Linear-Quadratic Approximation of Optimal Policy Problems. JOURNAL OF ECONOMIC THEORY, p. 1-42. ISSN 0022-0531. http://dx.doi.org/10.1016/j.jet.2011.10.012. P. Benigno; G. Benigno; S. Nistico (2012). Risk, Monetary Policy and The Exchange Rate. NBER MACROECONOMICS ANNUAL, p. 247-309. ISSN 0889-3365. http://dx.doi.org/10.3386/w17133. P. BENIGNO; RICCI L.A (2011). The Inflation-Output Trade-Off with Downward Wage Rigidities. THE AMERICAN ECONOMIC REVIEW, p. 1436-1466. ISSN 0002-8282. http://dx.doi.org/10.1257/aer.101.4.1436. Benigno P.; Altissimo F.; Rodriguez-Palenzuela D.; (2011). Inflation Differentials in a Currency Area: Facts, Explanations and Policy. OPEN ECONOMIES REVIEW, p. 189-223. ISSN 0923-7992. http://dx.doi.org/10.1007/s11079-010-9189-6. P. BENIGNO (2009). Price Stability with Imperfect Financial Integration. JOURNAL OF MONEY, CREDIT, AND BANKING, p. 121-149. ISSN 0022-2879. P. BENIGNO (2009). Are Valuation Effects Desirable from a Global Perspective?. JOURNAL OF DEVELOPMENT ECONOMICS, p. 170-180. ISSN 0304-3878. http://dx.doi.org/10.1016/j.jdeveco.2008.01.009.